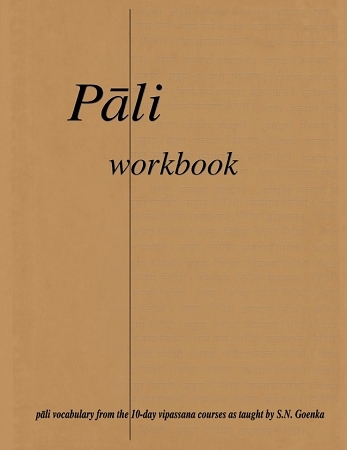 This PDF workbook provides the student of the Pāli language exercises, drills and even a crossword puzzle using vocabulary drawn from a 10-day course with S.N. Goenka. It is designed with both beginning and continuing students in mind, and created with internal links and bookmarks for ease of use. Additional Pāli language learning resources, such as free downloadable flash cards, puzzles, quizzes, and advanced courses are available at the Pariyatti Learning Center. Click here for Softcover Print version. Enroll in one of our Pali workshops.